Adam Peck is first — and foremost — a trial lawyer. For more than 30 years, Adam's entire practice has been devoted to trial work with an emphasis on cases involving toxic torts, product liability and catastrophic injuries throughout the country. In addition to obtaining defense verdicts on many cases in Alabama, he has taken cases to defense verdicts in Florida, Mississippi, Tennessee and Texas. Practicing at Lightfoot since its founding in 1990, Adam’s career reads like a history of toxic tort litigation in the South. He was one of the lead litigators for the longest-running trial in Alabama, an environmental contamination case involving thousands of individual plaintiffs. He also represented one of the country’s largest chemical manufacturers in a mass tort case in which 1,600 plaintiff coal miners in Alabama and West Virginia claimed injuries from exposure to methylene diphenyl diisocyanate. The case included four interlocutory appeals to the Alabama Supreme Court helping to clarify various complex issues that frequently arise in mass tort litigation. Adam is an American College of Trial Lawyers Fellow, one of the premier legal associations in the country, and he currently chairs its Adjunct Fellowship Committee. 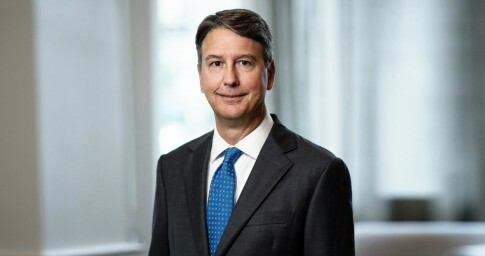 He is also a Fellow of the American Bar Foundation and an active member of the Birmingham Bar Association, the Alabama State Bar Association, the American Bar Association and the Alabama Defense Lawyers Association (ADLA). Before moving to Alabama to practice law, Adam lived all over the country. He was born and raised in Tacoma, Washington, and went to junior high in Sarasota, Florida; high school in Spartanburg, South Carolina; college in Hanover, New Hampshire; and law school in Nashville, Tennessee. When not practicing law, Adam serves on the Board of Magic Moments, a charity devoted to granting the wishes of Alabama children diagnosed with serious illnesses. He is married to another Lightfoot lawyer, Laura, and they have two boys, one of whom is now attending Vanderbilt Law School, where Adam and Laura met. Representing the manufacturer of HVAC equipment in ongoing fire or business interruption cases in Texas, Georgia and Ohio. Representing two different national propane suppliers in ongoing fire cases and investigations in Georgia, South Carolina and Pennsylvania. Representing a water heater manufacturer in fire and scald cases and investigations in Alabama, California, Georgia, Illinois, Indiana, Louisiana, North Carolina and Tennessee.